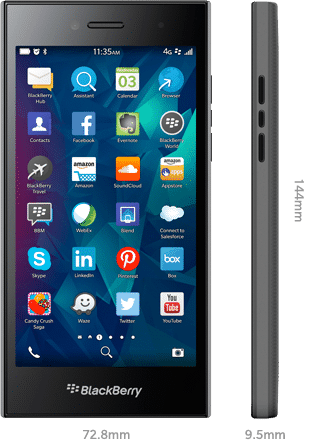 BlackBerry finally made a move in MWC 2015 and officially released BlackBerry Leap smartphone. This new smartphone from the BlackBerry family is a budget friendly and supposed to target the mid-range users for it’s specs and price. Talking about its specs, it sports a 5′ HD Touch display with 1280 x 720p resolution. It has a ppi of 294 which is quite low comparing to other smartphones for a 5′ HD display. The design made us to think of Nokia’s X6 which is sleek and has no round corners. It’s a complete touch screen phone with on-screen keys and the complete navigation is based on gestures. 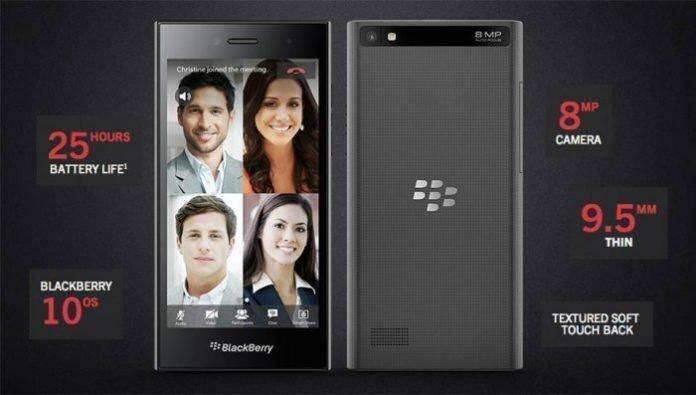 It comes equipped with Qualcomm’s outdated processor (MSM 8960) and runs on BlackBerry 10 OS. This 4G enabled BlackBerry phone can be easily synced with Tablets and computers using BlackBerry Blend and Link software. Inside the phone it has 2GB RAM and the on-board storage (ROM) is 16GB, it supports microSD and the memory can be expandable upto 128GB. Coming to the camera specifications, It has an 8MP auto-focus camera on the rear side which supports 1080p HD video recording and the front-facing camera is of 2MP for selfie lovers which supports 720p HD video recording. During the press conference, BlackBerry confirmed that Leap will give 25 hours battery backup even on heavy usage as it is equipped with 2800 mAH non-removable Li-ion battery. BlackBerry Leap is priced at $275 (RS. 17K approx.) and is set to launch in April.